Sam & Adam share their lives with Teal the Labrador, Fred the three legged cat, welsh mountain ponies, Jelly Bean and Charlie, Pepsi and Shirley the pigs and a horde of chickens. Sam has been brought up, worked and trained with animals all her life. Experienced Small Animal/Equine and Large Animal Veterinary Nurse, studying at Berkshire College of Agriculture. A qualified and experienced dog trainer, member of the Association of Pet Dog Trainers 00795 and a Clever Dog Company Trainer. Sam is an experienced agility handler and trainer. Competed throughout the country and qualified and competed at Cruft’s and Olympia. 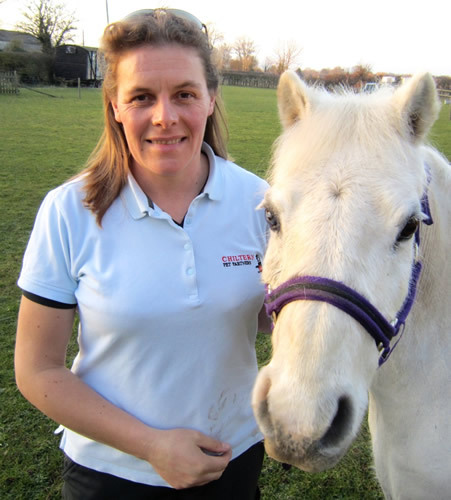 Sam is an experienced competitive horse rider/driver, and has spent over 20 years working with a variety of animals as well as horses and dogs on TV and film sets. Adam has been brought up with and trained dogs since childhood. An experienced gun dog handler and trainer using reward based methods. Adam joined the business full time in 2004 after managing several small businesses for over 15 years. 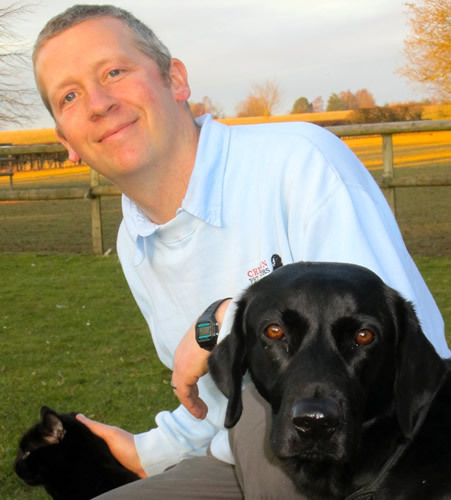 Adam is an experienced animal handler, assistant trainer and veterinary first aid trained. Sam & Adam enjoy walking, mountain biking, competing Jellybean and Charlie in carriage driving events, competing and working Teal in agility, rally obedience and gun dog events and have great fun training the pigs. Chiltern Pet Partners is a member of the National Association of Registered Petsitters, complying to the national standards for pet sitting and walking, we are all individually police checked, insured including third party liability and above all we all love providing professional individual care for all your animals.